Hello Ello – what’s all this then? Ello is a fledgling social network that seems to be gaining significant traction where many others have failed. Only about three months old, Ello is still in beta but this hasn’t deterred thousands of people to sign-up for accounts. There’s no question that the internet is screaming out for an ethical, respectful, non-commercial social platform. Designer & social entrepreneur Aral Balkan reported last week that the creators of Ello had taken $435,000 in seed funding from FreshTracks Capital, a Vermont-based venture capital firm. His concern is that the creators are funded by venture capital, which means your personal details have already been sold. But this hasn’t stopped up to 27 thousand new users per hour opening accounts and adding friends to their stream. Whether this is, or isn’t, the Next Big Thing remains to be seen. Maybe Ello will be a stepping-stone to something else? 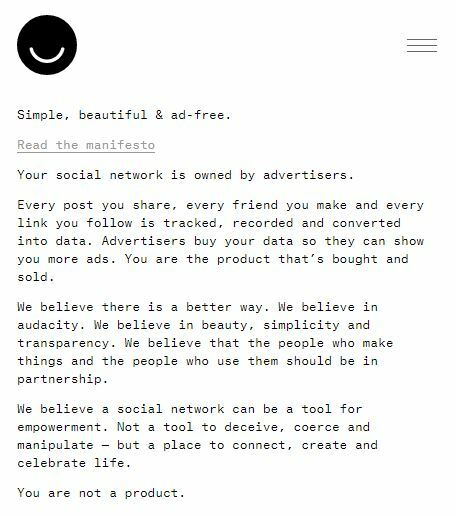 One thing is certain: Ello’s business model and its ability to offer a viable alternative to Zuckerberg’s ubiquitous Facebook has attracted a great deal of interest indeed.